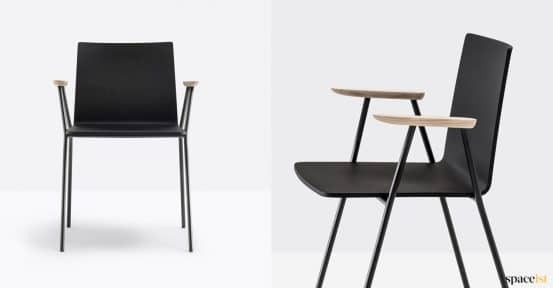 Designed by Italian trio Michele Cazzaniga, Simone Mandelli and Antonio Pagliarulo who bought us the Malmo range and Ark table range, now comes the Osaka meeting chair. 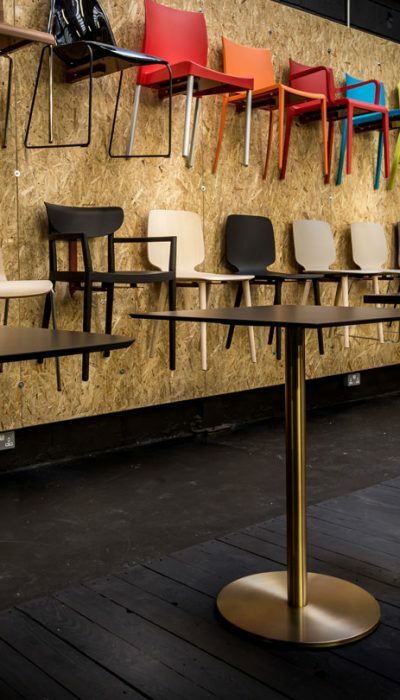 Made from a robust steel frame, the chair comes with an ash plywood seat and offers a selection of variables. 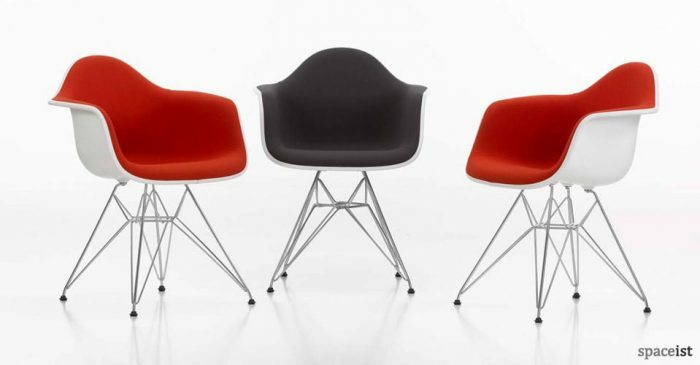 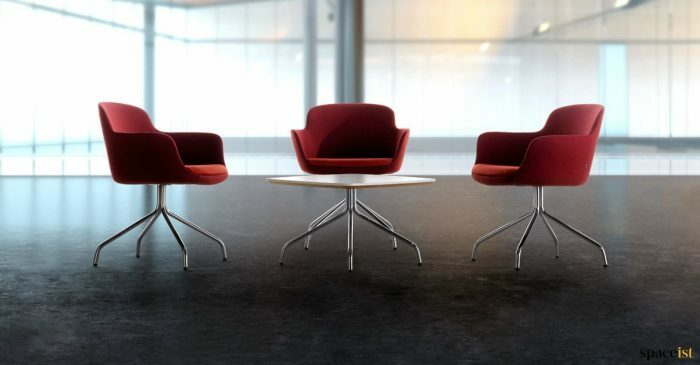 Select from a choice of either fabric, vinyl or leather seat upholstery in a wide range of colours. 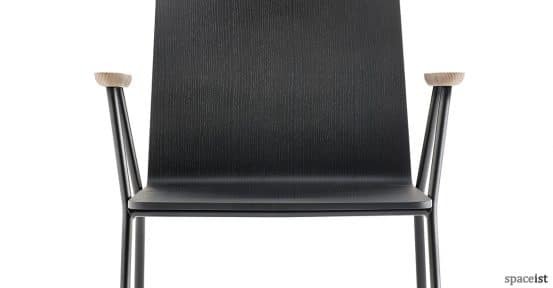 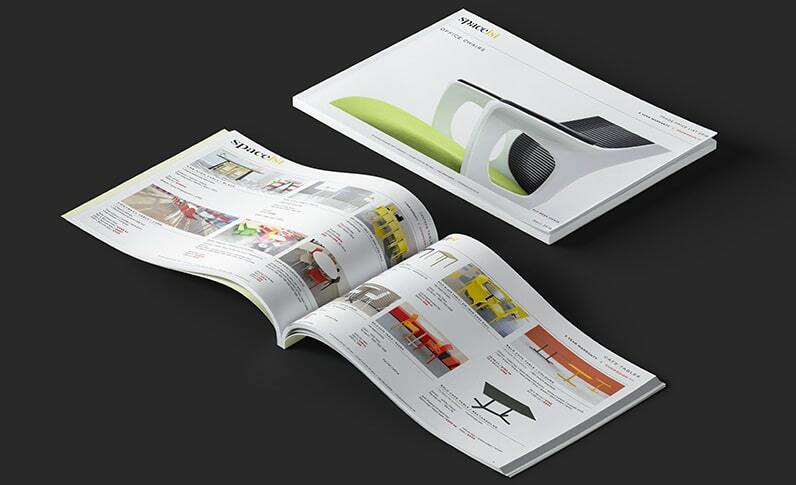 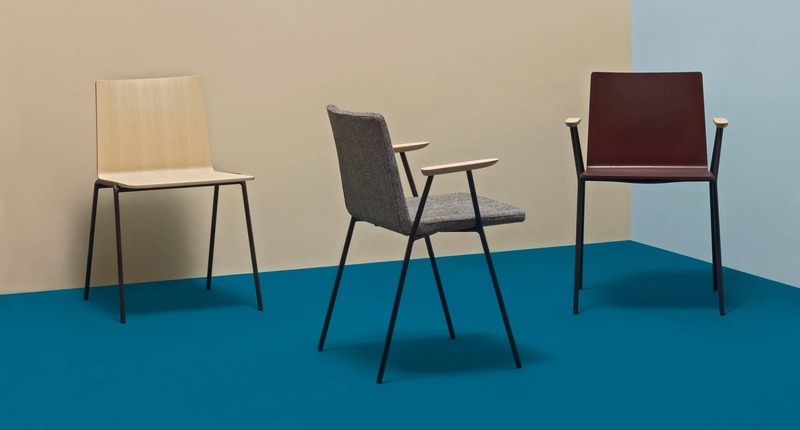 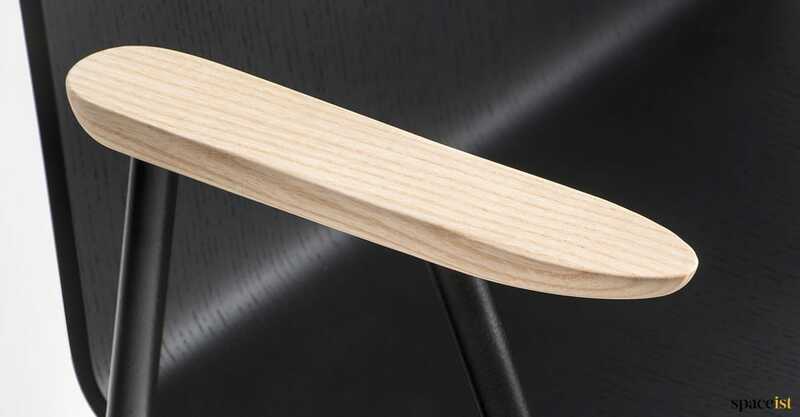 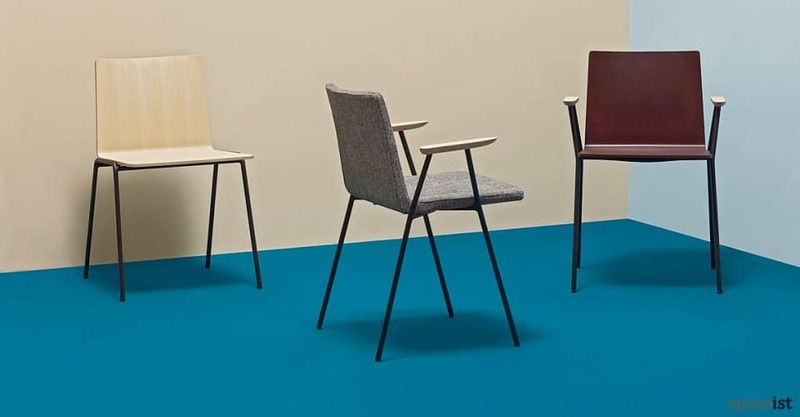 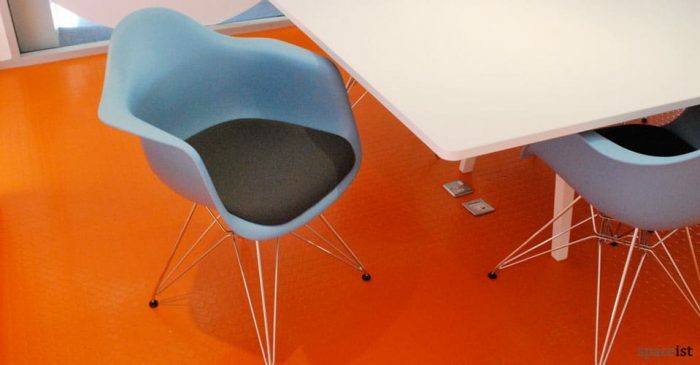 The chair comes with our without armrests and without upholstery for a colour plywood seat choice. 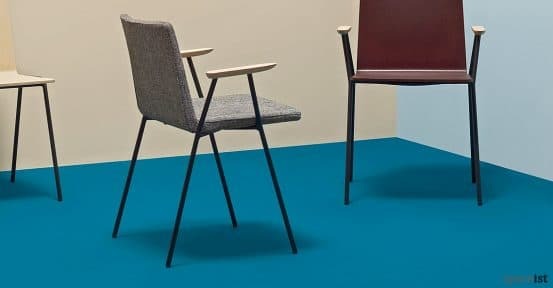 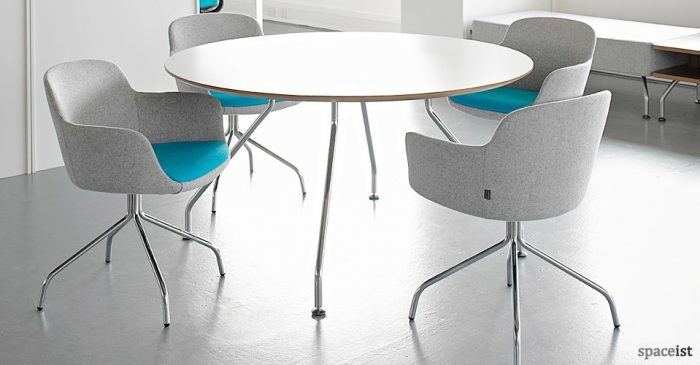 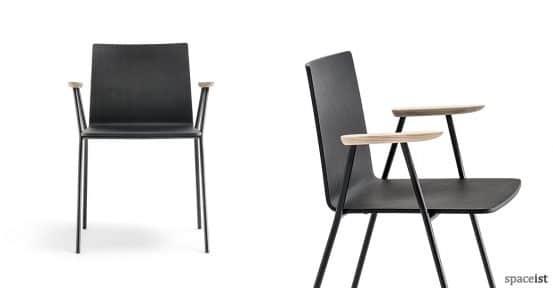 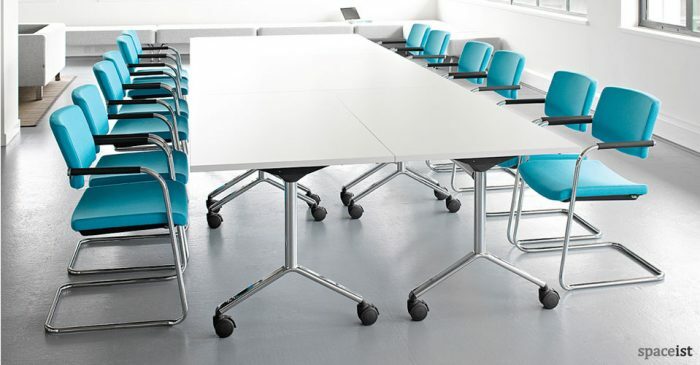 A contemporary option for meeting rooms, cafés, restaurant and hotel settings, the Osaka presents simpler ergonomics with its industrial appeal.